The machines counting ballots are working again with two mechanics on site helping to maintain them. A vendor mechanic was flown to Palm Beach County to fix the machines. UPDATE: The machines counting ballots are working again with two mechanics on site helping to maintain them. Palm Beach County is almost done getting through the early voting ballots they had to redo in the Senate race. That should be wrapped up this morning. However, they’ve discovered some of the precinct ballots (from Election Day) also do not have results that are calibrating with the originals so they are going to have to redo some of those ballots as well. The Elections Supervisor could not give a number but said it's a lot. They expect to finish canvassing ballots Wednesday morning to comply with a judge’s order. 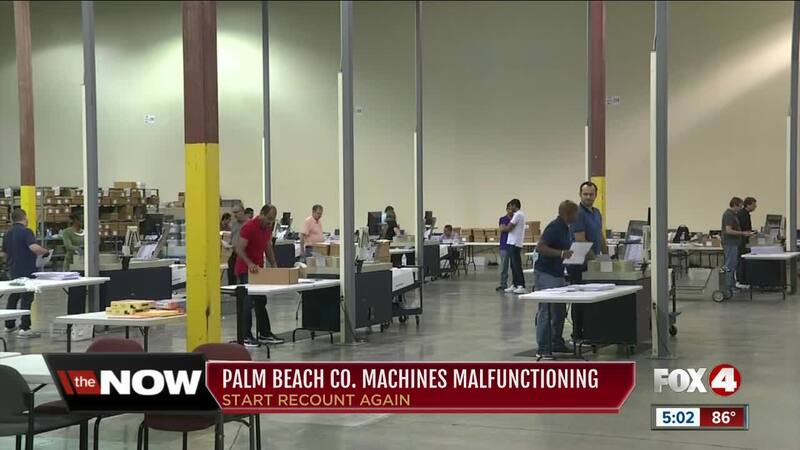 Malfunctioning machines are causing further issues at Palm Beach County tabulation center in Riviera Beach. 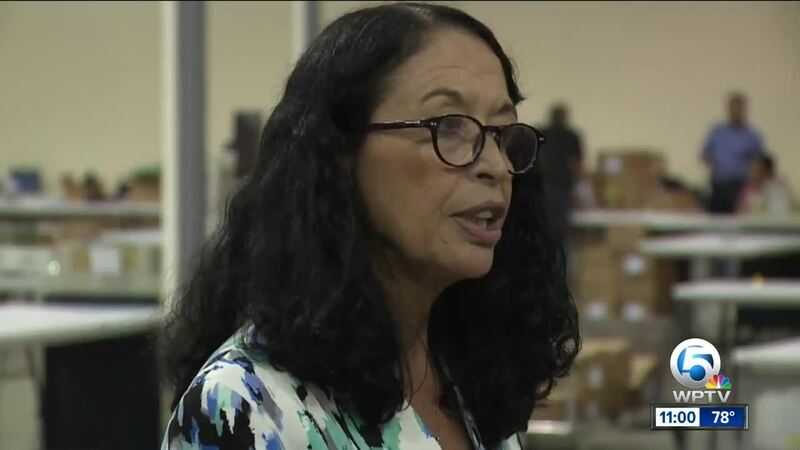 The main problem is with tallies for early voting, according to Palm Beach County Supervisor of Elections Susan Bucher. The recount began at 5 p.m. Saturday with a 24-hour operation. According to Bucher, there was good progress in the first three days for Senate race, but with the vigorous pace of counting, tabulation machines started to get stressed. A vendor mechanic was flown to Palm Beach County to fix the machines. Bucher said the machines started experiencing issues Monday. When the numbers were run Tuesday with early voting ballots, they were not matching. "We’re trying to move forward to reorganize the ballots so that we can rerun them again. we don’t have a lot of assurances, as you know the machines are old and they started overheating so as a result, the tally types are not reconciling properly," Bucher said. About 174,000 ballots for early voting tallies will have to be recounted. "We're disappointed with the mechanical problems that are going to cause a further delay in the recount," said Bucher. "We will continue operating 24/7 and try to get through this in a timely manner." It took about a day and a half for the early voting tallies to be counted.